The NJAG is a proud member of the International Dark Sky Association (IDA) and encourages its members to support the fight against light pollution. For more information about the issues and how you can help, see the IDA's web page at: http://www.darksky.org. The New Jersey Good Lighting Forum (NJGL) is a mailing list for citizens concerned about light pollution and good lighting. 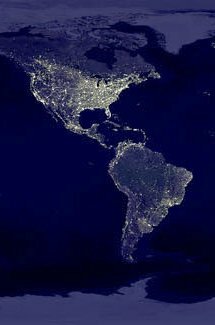 Light pollution is wasted energy. It contributes to air pollution, its glare component is hazardous to drivers, it affects flora and fauna, its light trespass component is a public nuisance, it is a health hazard, it is aesthetically unpleasant and ruins the night sky!